Do you have pork spine?, I asked the butcher at my local market. He looked at me like I was from another planet and said “no, we don’t have that!” Okay, thank you, I said. 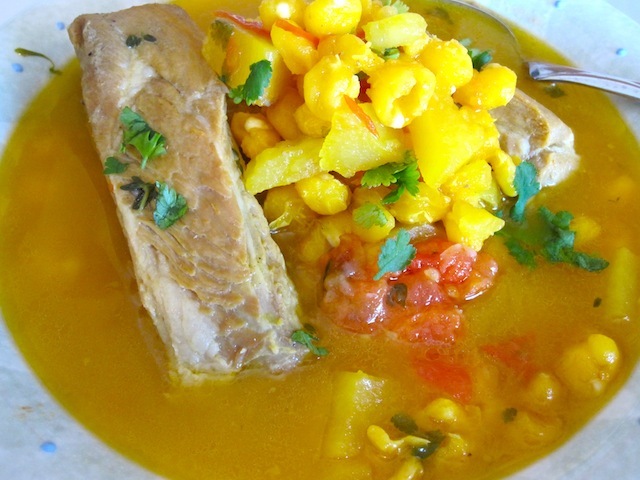 I was plannig to make Sopa de Mute o Maiz Pelao, a soup that my grandmother used to make. 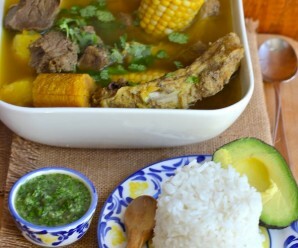 She would add pork spine(espinazo de cerdo) and the flavor was fantastic. So I started getting the rest of the groceries and thinking about that soup I was craving so badly. Well, I decided to buy pork ribs and use them instead. I made the soup yesterday for lunch and it was delicious. I did not miss the pork spine at all. After I had my soup I called my aunt in Florida and told her the story. She laughed and told me that in this country pork spine are called pork neck bones. So, if you want to make the soup the way Mamita used to make it, ask your butcher for pork neck bones, but if you prefer my way, use pork ribs. Either way, it is a wonderful soup! 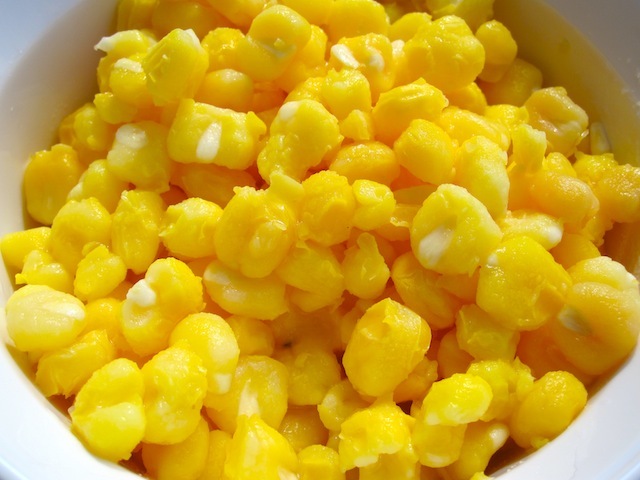 For those who don’t know what hominy is, it is white or yellow dried corn and is used in Mexican pozole. In Colombia, we use it in arepas de maiz pelao, mazamorra or soups. You can buy it and cook it at home from scratch, or just buy it pre-cooked in cans. Place a pot over medium-high heat. Add the water, salt, pepper, whole scallions, cumin, sazon Goya and pork ribs, bring to a boil. Reduce the heat to medium- low. Cook for about 35 to 40 minutes. Discard the scallions. Add potato, hominy, thyme and hogao, cover and cook for 25 minutes more or until the pork is cooked. Hahaha, we eat pork spine too! What a cute story Erica! I feel like we our butchers need to be a little more educated about what they sell. Mine look at me like I’m crazy when I ask them for the simplest things. 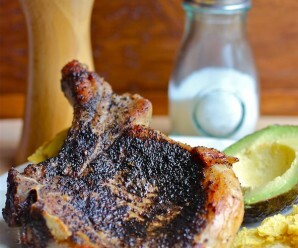 Whether you use neck bones or ribs, this looks delicious! It’s hilarious when we get lost in translation and people look at us like we are crazy, hehe. 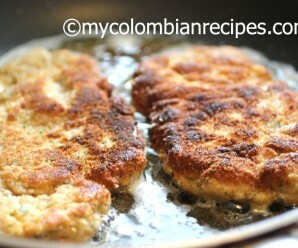 I love the name of this recipe “pelao”. It does sound and look delicious! Funny story, Gloria! Oh well, pork spine, pork ribs….both are located in nearly the same place, right? 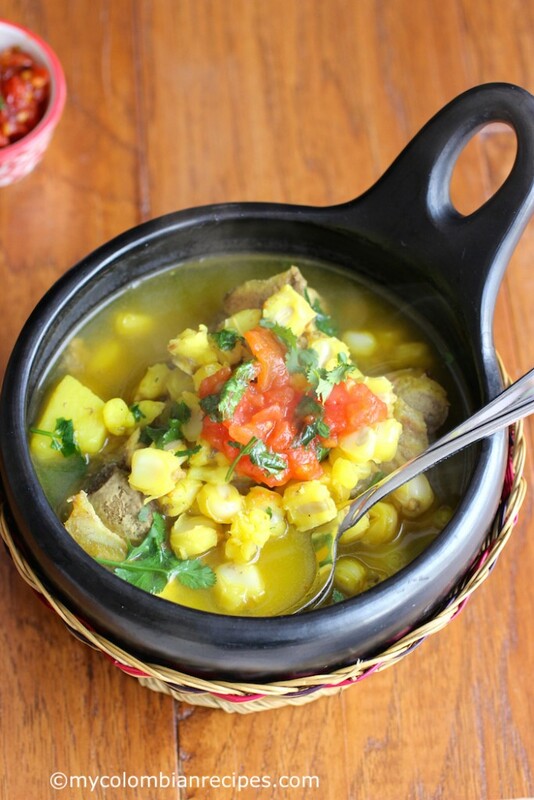 Your hominy soup looks delicious! ha ha people give me weird looks when I ask if they have fresh whole fish or squid… 🙂 This soup looks wonderful! You always have great recipes, Erica! Love your blog. I have always loved hominy! I haven’t heard it called pork spine either. Your soup looks fabulous! Hahaha I love old family recipes with ingredients from… unusual parts of the animal. The first time my grandmother met her future mother in law, she went to stir her pot of soup and looked down at a GOAT HEAD! 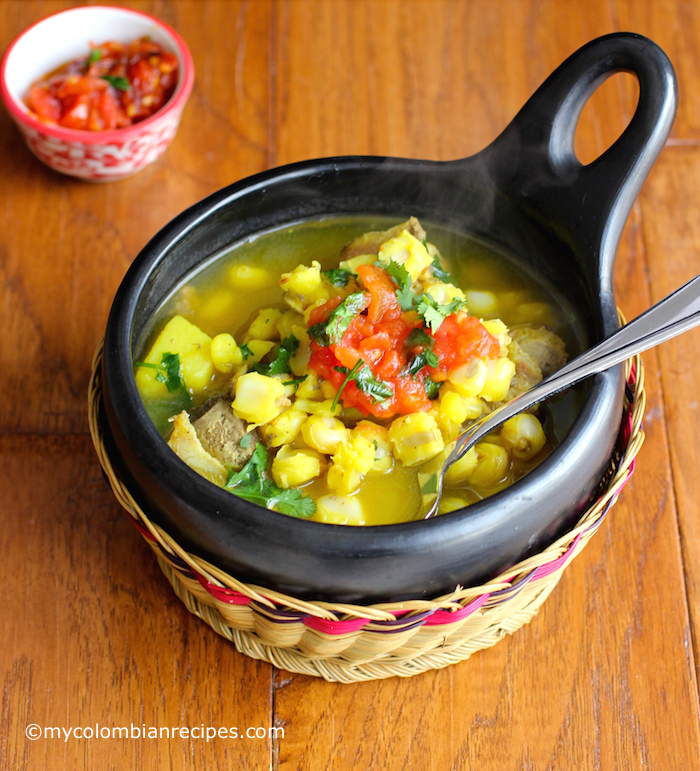 This soup sounds so delicious with pork ribs and hominy! This looks like wonderful succulent soup. I’m curious about pork spine now, I’ll have to ask about that at the butcher. Looks so delicious! Beautiful color. 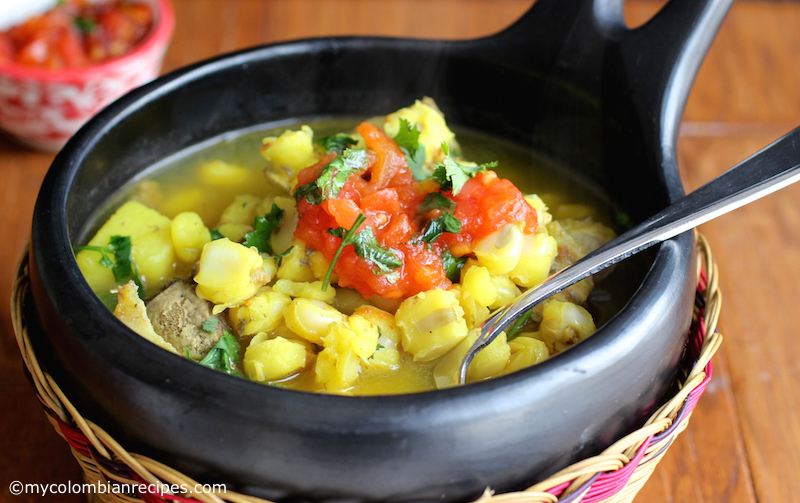 My dad love hominy…I will have to make this for him sometime. my grandpa makes hominy for us every year, and this is a new and interesting way to use it! methinks i’d prefer the pork ribs over the neck bones, but i’d take whatever i can get! Looks so good! I am glad I found your site! 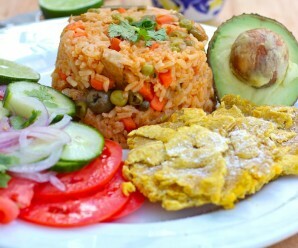 My husband loves authentic hispanic foods (and like making them). Love hominy – will be trying this soon. 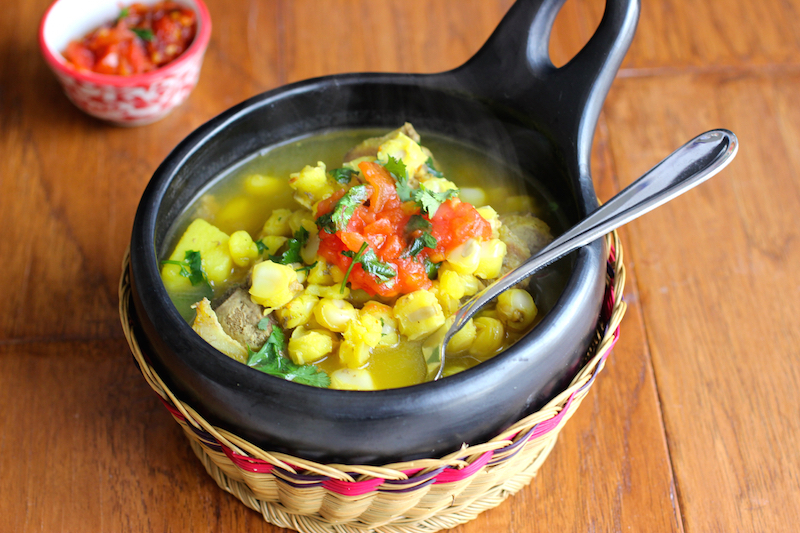 This soup made me think of posole, which I adore. I would like to try it someday. This soup sounds just delicious but I have to ask why you could not have posted the recipe sooner! =) My husband opened a HUGE container of hominy a few weeks ago and I was struggling with creative ways to use it up. I could have surely used this yummy soup! Great recipe! My wife isn’t really into brothy soups, but she and my kids enjoy this one!